Hello, Gorgeous! : 1 dress, 4 ways! We all love shopping for new pieces for our wardrobe. It's exciting! But, sometimes what's even more fun is re-discovering your own closet and re-styling the clothes that you already own. It's like finding buried treasure. ARRRGH MATEY! One of the easiest ways to re-style your clothes is to layer different pieces over and under, like my green pleated dress above. Put a jacket or cardi over it. Put a button-up under it. Throw on a scarf. Belt it. Play with it and see what you come up with! i love this! So many ways to remix one item! Love it! This is awesome! I want to restyle one of my dresses now too! I'm loving this. So much inspiration! You are seriously amazing. I'm sure I have 3x more outfits in my closet and don't even know it.. So cute and totally doing this for work! 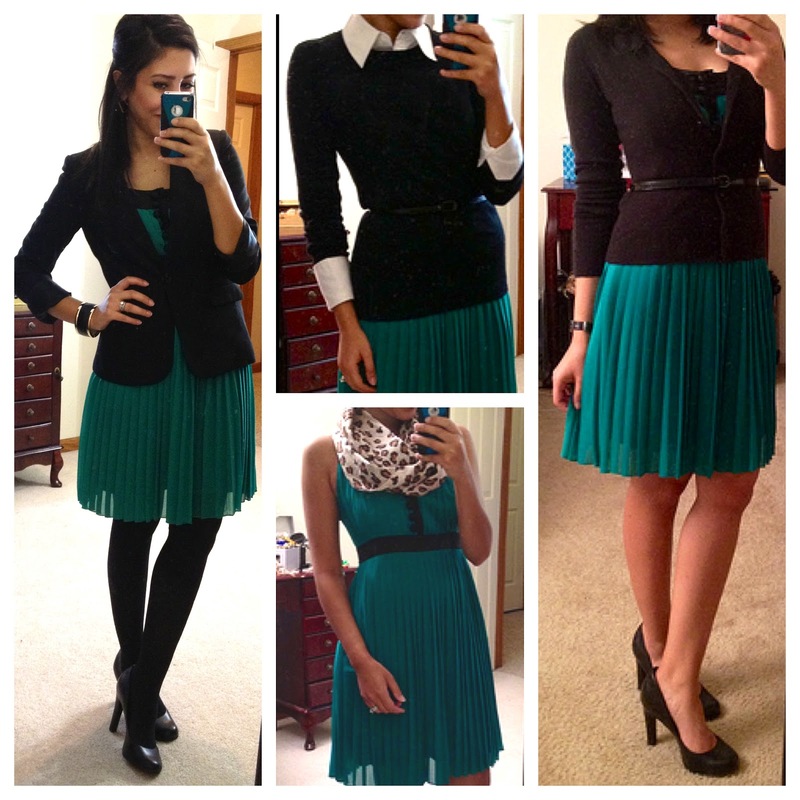 Great post, Yasi :) Love the dress and all of the options, too! I love it. They are totally different outfit looks but with the same piece. That pleated skirt is really cute. Love that dress! Cute outfits! So true!! I find new items in my closet all the time! This is also a sign that I own way too many things!! lol (or not) I won't tell. Love the color of the dress. I think pleats are weird over my hips, but I definitely agree with the new ways to style your dress. Looks beautiful!! Where did you get the white shirt that you are wearing under your black sweater? I am petite and find that when I try to create this combination out of the clothes currently in mu closet, it just looks bulky. That dress is at Forever 21!? So many people I know always seem to find cute things there but when ever I go I leave empty handed. I think I get overwhelmed! 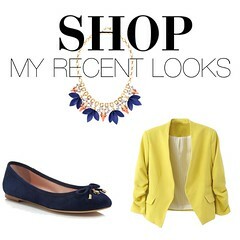 I think your style is awesome and I love how the clothes you have chosen are actually affordable! Just was on a fashion blog where a girl dropped over $800 for Valentino Shoes and she is a stay-at-home mom. Seemed ridiculous and completely unrelatable. Thank you for keeping is REAL. What a great post! My favorite is the belted cardigan look on the right. Love your classy style and the outfits you put together!